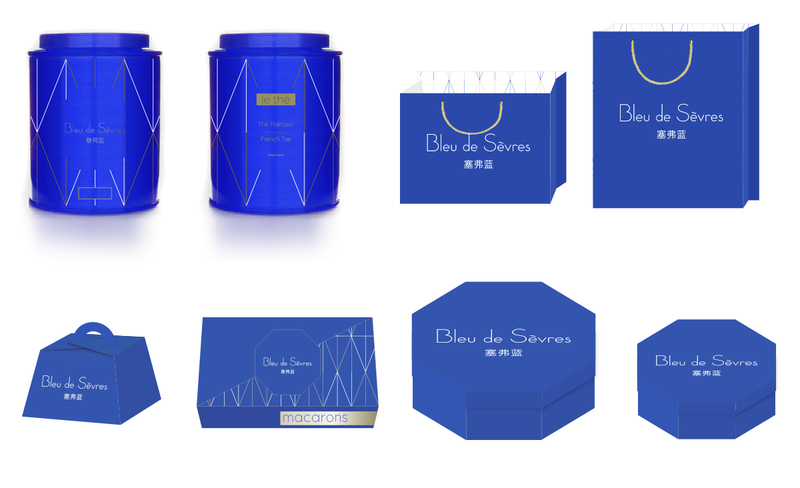 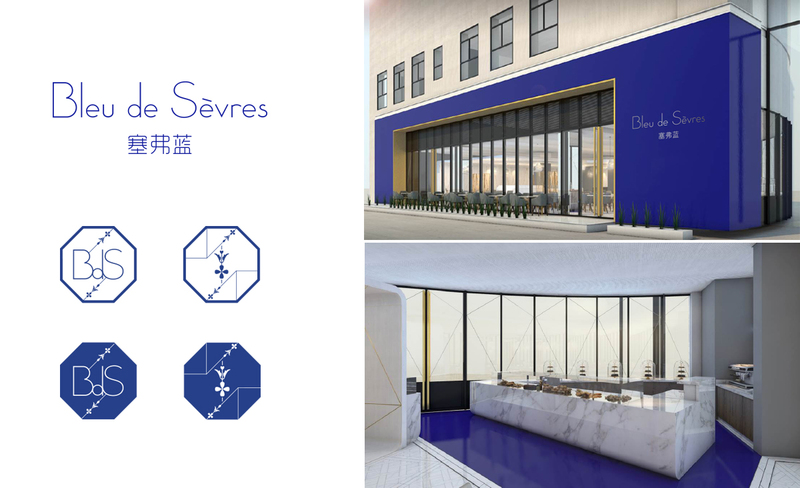 Bleu de Sèvres is a new French Restaurant, Salon de Thé and Pâtisserie near Shanghai, China. 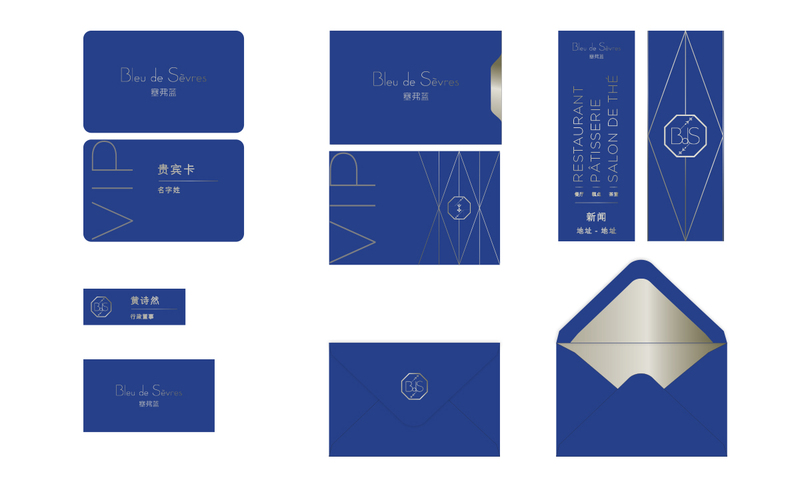 The identity is a mix of modernity and French traditions. 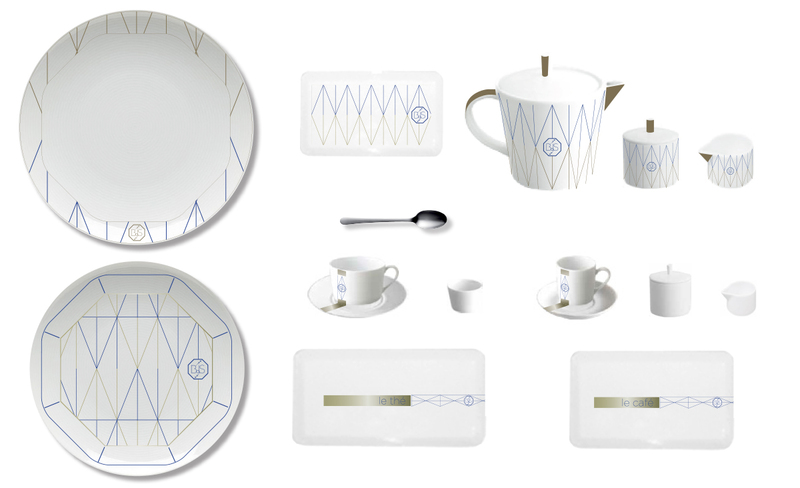 The lines and colors refer to classic fine china from the legendary Sèvres Manufacture, in the middle of the XXVIIIth century when the deep blue porcelain was delicately adorned with gold and floral or geometric patterns.